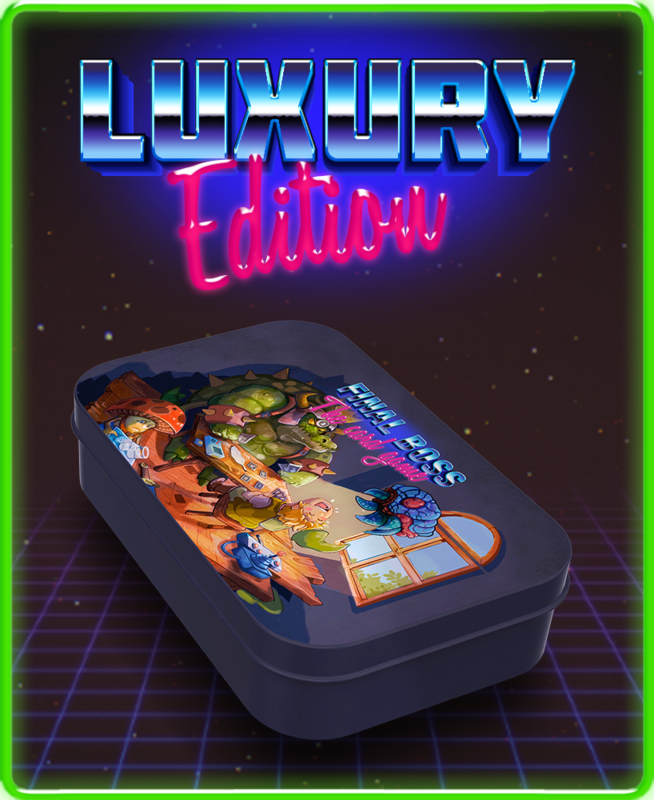 Don't miss our upcoming EXPANSION. Sign up for a notification email. 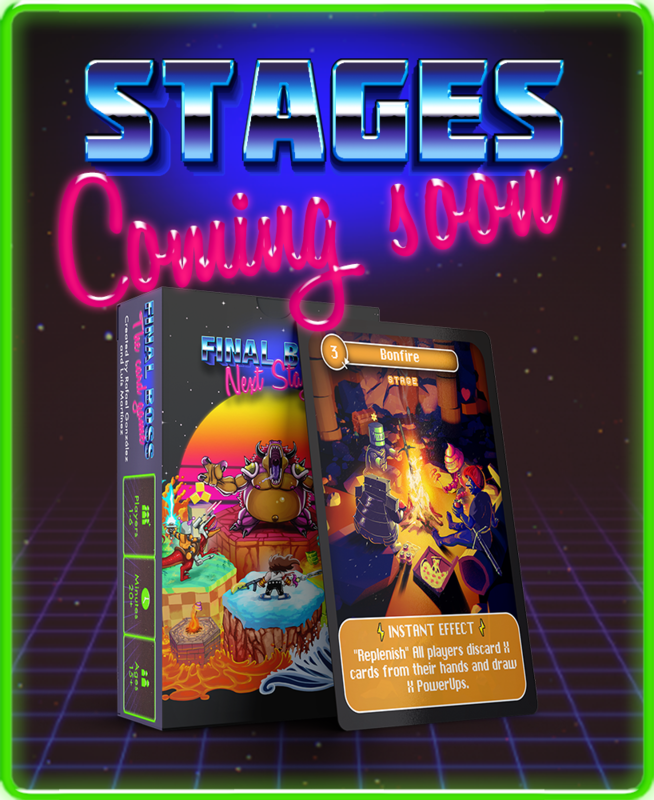 This expansion will add Stages that will dramatically change the rules for each combat, adding a lot of replayability! 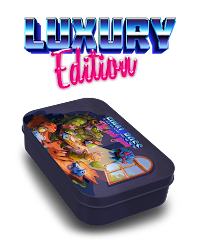 Base game packed in a limited edition tin box. 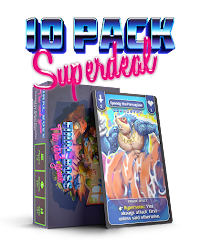 Battle enemies, destroy your friends and defeat the Final Boss in this hilarious card game full of parodies of your favourite classic video games. 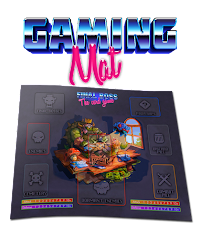 Battle enemies, destroy your friends and defeat the Final Boss in this hilarious card game full of parodies of your favourite classic video games. 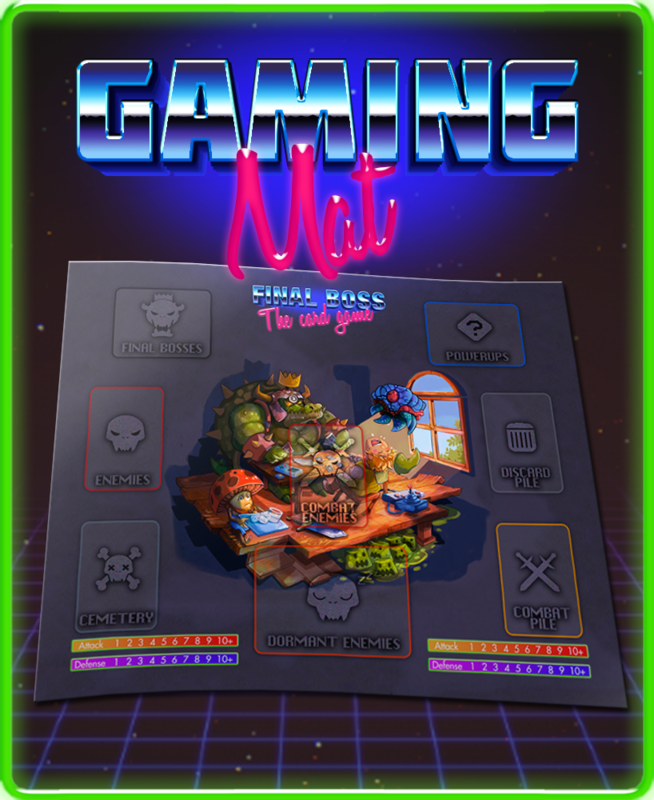 Rubber gaming mat for Final Boss base game. 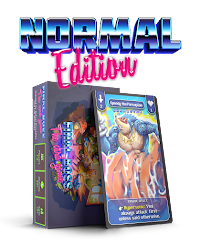 It includes 2 power values trackers to help players during combat. 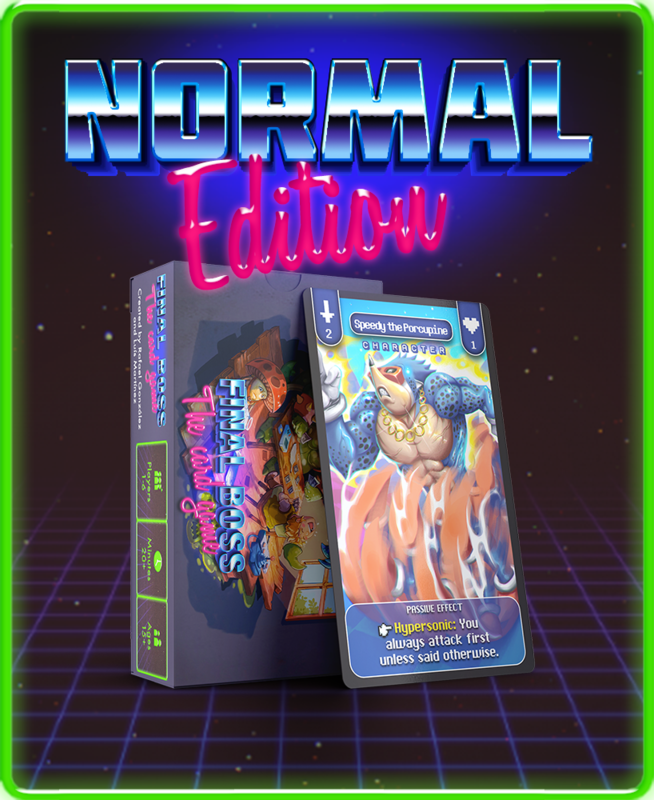 Battle enemies, destroy your friends and defeat the Final Boss in this hilarious card game full of parodies of your favourite classic video games.